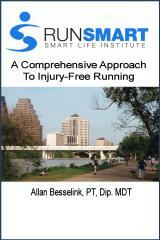 Over the past 6 years, Allan Besselink has lead a free running group. The group is open to everyone. It meets on Tuesdays and Thursdays at RunTex (422 W. Riverside location) at 5:45 pm. We always meet inside the store! The group will typically leave RunTex at 5:55 pm. The workouts are always interval-based and emphasize running mechanics instruction. There are a broad range of running paces and experience levels. The total session is typically no more than 3 to 3.5 miles. We will always meet at RunTex and then go to one of 3 locations - Auditorium Shores, Texas School For The Deaf, or Fulmore Middle School. For more details, contact Allan at 512-914-0871.